Max (Karl Ernst Ludwig) Planck was a German physicist and philosopher known for his quantum theory, for which he won the Nobel Prize in Physics in 1918. 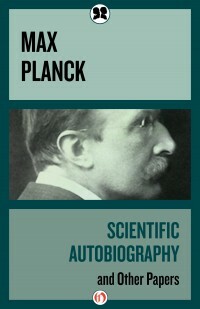 Planck was born in Kiel, Germany, in 1858 to an academic family, and valued education from a young age. He attended the Universities of Munich and Berlin to study physics under the great scientific leaders Kirchhoff and Helmholtz. His early work focused on the study of thermodynamics, and in 1900 he published a paper on his quantum theory that would change the face of modern physics. Planck worked as a professor at Berlin University his entire career, and served as the president of the Kaiser Wilhelm Society for the Promotion of Science. During World War II, Planck experienced great hardships while he remained in Germany but openly opposed the Nazi regime. One of his two sons was executed during this time for an unsuccessful attempt on Hitler’s life, and Planck’s home in Berlin was eventually bombed. He continued to write about physics and philosophy until his death in 1947.